Brittany Mott has always had a passion for empowering mobility. In college at Penn State, Brittany chose to pursue a Bachelor of Science Degree in Kinesiology with a Movement Science option. During her college years, Brittany interned during the summers at Walter Reed, where she began working in 2011. After college, Brittany entered the Masters in Prosthetics and Orthotics program at Northwestern University. She joined MCOP as a Prosthetic Resident in April of 2015 after completing the coursework component of the MSPO degree. 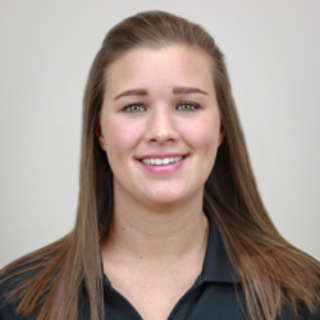 Today, Brittany is a prosthetist-orthotist based out of MCOP’s Silver Spring headquarters. She also serves patients at Walter Reed National Military Medical Center. While Brittany serves all types of amputees, her specialty is in applying her background in movement science to improve gait dynamics and mobility for her patients. Outside of work, Brittany enjoys horseback riding, working out, and leading an active lifestyle. Brittany also likes to give back. She supports the Range of Motion Project, a non-profit that serves the prosthetic needs of impoverished communities in Ecuador and Guatemala.